Now, if there's a smartphone we absolutely dread putting a case on, it has to be the iPhone. Apple smartphones are just meant to be used like they are, and in our humble opinion, protecting them with anything other than a crystal clear transparent case for general use is a crime against aesthetics! 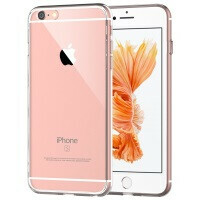 The iPhone 6s is no exception, with its various finishes looking better than they ever had, thanks to the Series 7000 aluminum and the improved anodizing process used in manufacturing. As usual, should you fall for a particular case, just tap the blue links and they will take you straight to Amazon. http://www.amazon.com/dp/B0153O4DGO/ref=wl_it_dp_o_pC_nS_ttl?_encoding=UTF8&colid=2P1I1QW8GHDIU&coliid=I1MDWK4KV5TZ3H&psc=1 http://www.amazon.com/dp/B00NG4I6E4/ref=wl_it_dp_o_pC_nS_ttl?_encoding=UTF8&colid=2P1I1QW8GHDIU&coliid=I3II14ILK4TM6B check this out i'm using second one for 930. puregear. Delightful looks? This is the ugliest iPhone to date. AppleArena mate. This site is so biased. . Sometimes i feel like an idiot just reading these articles. Another one is like "are you excited by the lunch of marshmallow?" And ppl voted like "ofc duuh!". Then i read something like " iOS 9, being an evolutionary step in Apple's mobile OS, comes with a wealth of features ". Jeez. I had such a good opinion reading their reviews, but at this very moment i feel really stupid to be here after all this..
Yep, today's phones are not quite as resilient as they use to be. I know I hate cases, but I hate paying for a damaged phone/tablet even more. I like cases that are very low profile and don't add any thickness to the phone. With the device I use, I have 2 cases. I have a flip cover for when I am on the go, and when I chill at the office/home I have one that just covers the back and its also clear. One offers little soft cloth padding on the inside to prevent damage to the back of the phone. Don't want scratches? Invest in a case, a screen protector of some type and still try your best not to drop it. Wow this must be the first comment from you in an iPhone article where you didn't write an essay of why Samsung or Android is superior to iPhone. Note 5 right? What cases do you have? I think I'm staying naked with it. It's really big and I don't want to add a mm of thickness anywhere. (NOT what she said lol). I had the trianium clear case on my S6 and I really liked it. Very thin. Everyone here (southeast US) has an iPhone in a gigantic otterbox. It's all you see over and over. I've never seen an iPhone in a clear case. slim transparent cases are the way to go! the phone is so durable, that you do not even need a case! !